Although your role is to enable the creation of value, value is not necessarily created in the traditional brick and mortar of just your office. Value is created where your end-users work. More often than not, this is happening in multiple places, far, far away from your favourite computer screen. This blog post makes the case for the decentralization of ITOM. Why? Because the IT industry will be affected by a trend that is being driven by heightened expectations: the distance between users and the service is getting shorter. Yet, all central oversight does not have to be thrown to the wind either. 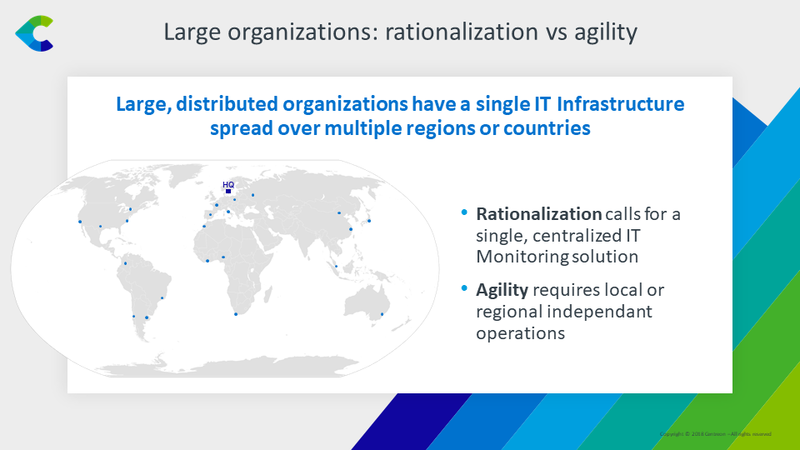 In a March 2018 analysis*, Gartner was urging leaders to “evolve strategies to provide agile infrastructure for the business to enable global reach, solve business issues like latency, customer experience, and compliance, while providing the flexibility to enter new markets quickly, anywhere, anytime.” Which way to achieve this? To decentralize or not to decentralize? Even Hamlet would have been troubled by the question. If you look at the innovations sweeping a wide range of industries, think mobile apps, blockchain, IoT, you’d come to the conclusion, just as Gartner did in a 2017 Maverick analysis**, that there’s a strong, natural connection between digitalization and decentralization… but we, at Centreon, believe that as far as ITOM is concerned, it does not have to be an either/or proposition. The real question, and one much easier to bring up for discussion in the C-suite, is: What can we decentralize? Be prepared to respond to the question any cost-conscious and/or security-obsessed executive will counter with: “Can we afford to decentralize?” Well, let’s all be clear about two things: one, decentralization is not pandemonium and two, it will not break the bank. Why? Because safe and affordable ITOM decentralization is driven in part by innovative IT monitoring software. 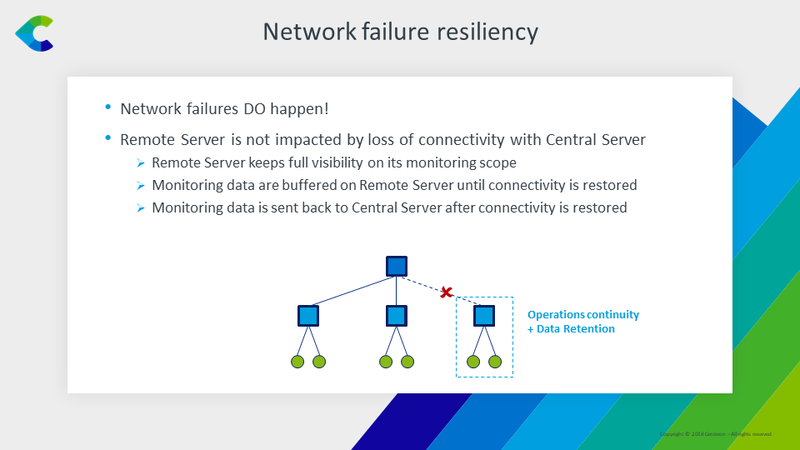 Customer experience first: end-users get exactly what they need, when they need it – meaning latency or downright unavailability issues are being solved. Agile infrastructure: just as the business enters new markets at the speed of light, integrating infrastructure and expanding the monitoring perimeter needs to be done in a flash – at the lowest cost possible. Resilience: create living, breathing IT ecosystems that keep working even if somewhere, something is going terribly wrong. All-the-way-compliance: from complex regulatory landscapes to proof-based SLAs, observability becomes a competitive advantage. Edge computing: as applied to I&O, it requires both a consistent, secure, and central platform with all the local autonomy (i.e. self-service tools) needed to meet local expectations. 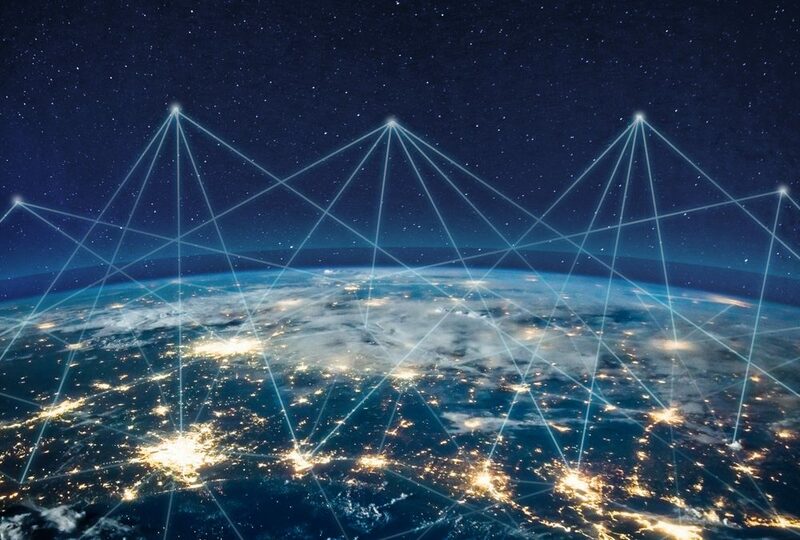 All of these trends are pushing Infrastructure and Operations leaders to smartly integrate decentralization in an already complex, distributed, and hybrid infrastructure. But where to start? What should be centralized and what can be decentralized? As strange as it may sound, start by truly centralizing what needs to be centralized. This is where things like security, compliance oversight, etc. are considered to build a fail-proof decentralization blueprint. 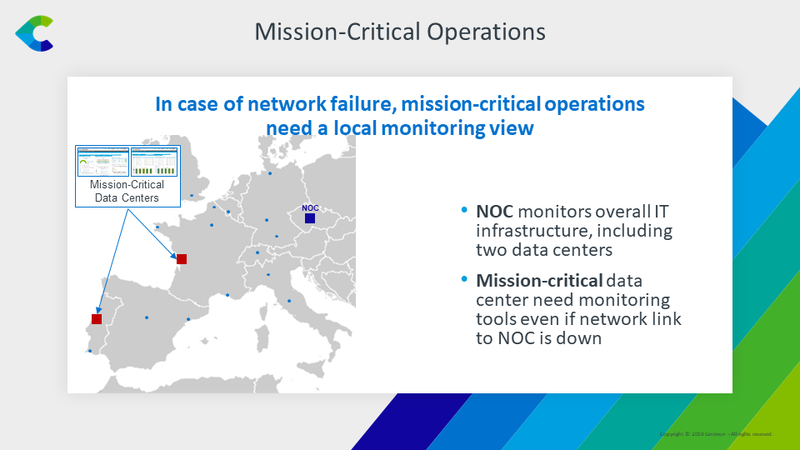 Develop a common, standardized approach to monitoring, regardless of the nature or location of the infrastructure: virtual or legacy/remote or NOC, etc. Listen to your local teams’ complaints/pain points: ask what would make them more agile and where they’re lacking in flexibility. Develop a culture of collaboration and co-learning between central and local teams and help desk. This may not be as easy as it sounds for a business operating across a diversity of workplace expectations, cultures and languages. Here too, decentralization will need to be championed by the central entity. Define clear responsibility lines and incident escalation processes to foster accountability. As an open source champion and provider of Centreon EMS – an all-in-one solution that’s been proven to rally entire organizations around a shared approach to IT monitoring no matter the complexity of their operations, Centreon is the natural partner of international organizations, multi-site or managed service providers. Since October 2018, even more so. Centreon launched Centreon EMS 18.10 including the unique Centreon Remote Server functionality which enables organization to strike the perfect balance between centralization and decentralization. Here’s a quick preview on how it works – feel free to contact our team to support the optimization of your ITOps. No blog article will ever beat a good face to face demo. Ask for yours today.